Is it a cake? Is it a cookie? Well it’s a chewy cookie bar. The couple who live across the road from us have just had a baby girl so we decided now was time to make friends. We popped over on Thursday afternoon and I decided it would be good to take a baked offering with us. 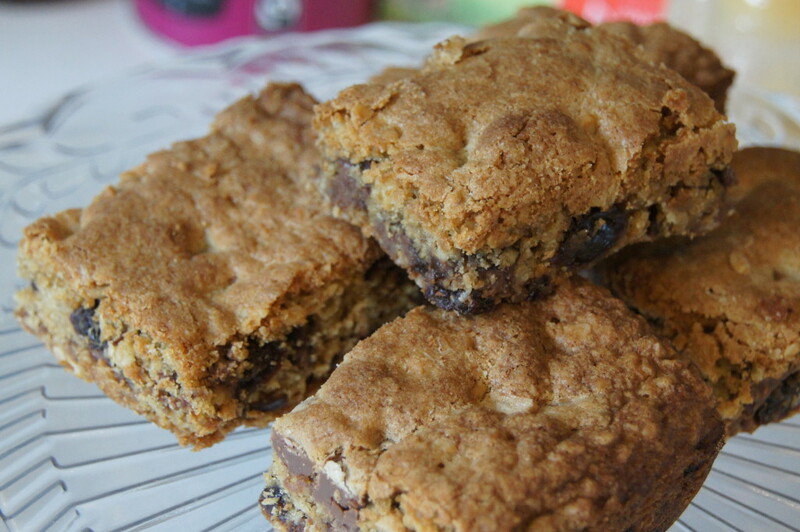 I thought these cookie bars would be good as they have oats for energy and milk production, chocolate because when you’re sleep deprived chocolate is very necessary and raisins to make you feel like you’re having something healthy! Do you love Bourbon biscuits? 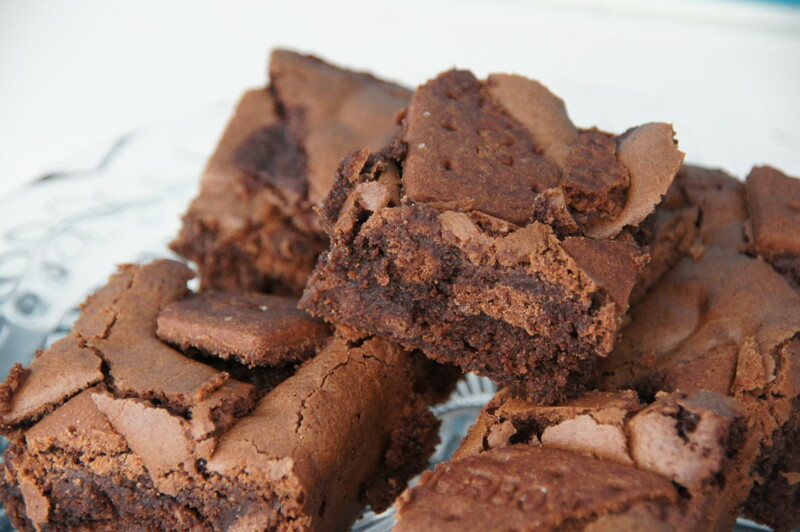 Do you love brownies? Well this is the recipe for you! It’s been a while since I’ve baked anything and I’d seen these on the Olive Magazine website when I saw the recipe for the Custard Cream blondies I made a while ago so I decided to give them a go.